Mr E.F. ? [A.J.] Thompson, Mr. Eaton (Oscar), Mrs. [Ella A.] Thompson, Miss Ethel Thompson, ? Mrs. Eaton. 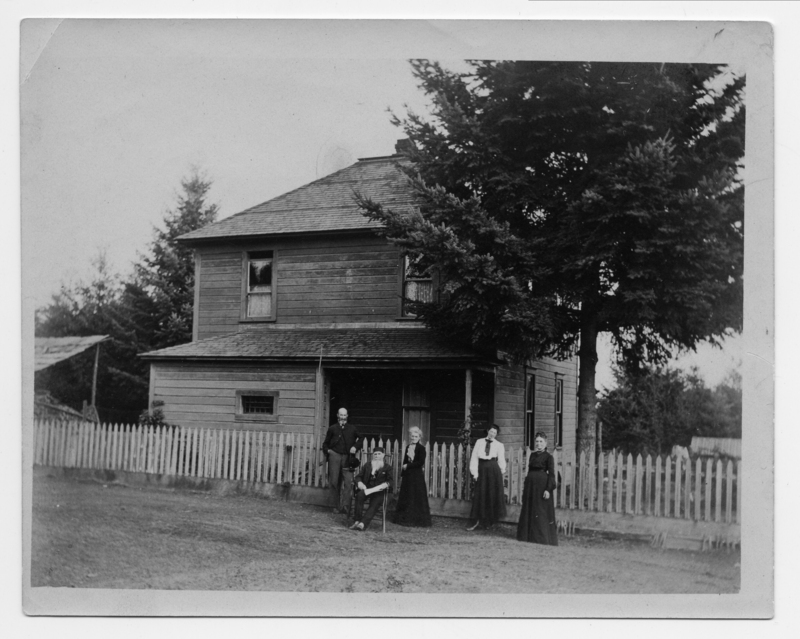 House on 7th between C & D.
Description Same as 838a & c; scanned as b & w.
Transcription Mr E.F. ? [A.J.] Thompson, Mr. Eaton (Oscar), Mrs. [Ella A.] Thompson, Miss Ethel Thompson, ? Mrs. Eaton. House on 7th between C & D.